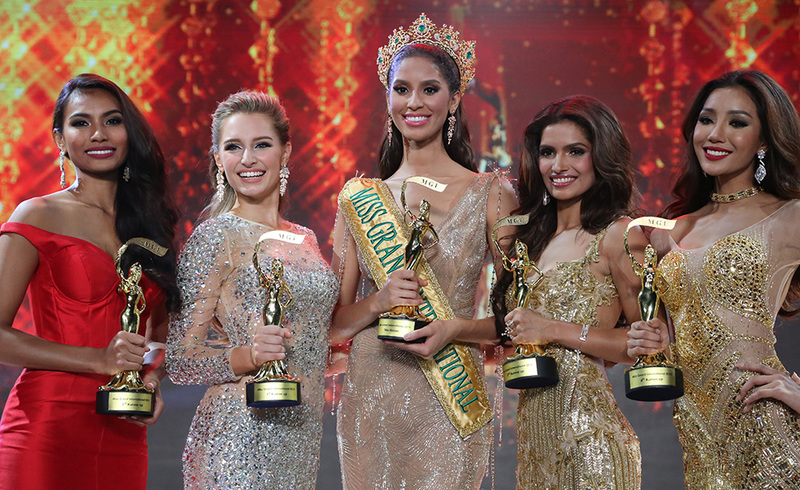 Who Should Be The Next Miss Grand International? : People’s Opinion in Spotlight! The voting closes on October 25, 2016 at 12:00 AM, so hurry and make your favourite win this poll. Disclaimer: This Poll is solely conducted by The Kaleidoscope of Pageantry for knowing its readers’ opinion and is not related to the Organization in any way. The Kaleidoscope of Pageantry does not own any picture rights used in the website and the credits belongs to the rightful proprietors. Vote For Your Favourite Miss International 2016 Delegate Right Here! Vote For Your Favourite Miss Earth 2016 Contestant Here! VOTE NOW! Who Should Win Miss International 2016? Thai so charming smile . Vote for Thailand she is beautiful and charming; nice smile. Thailand is Miss Grand International. SURE.